Seriously, did Sasha Vujacic dress Maria for the photo shoot? Eight women have flown into Istanbul with a chance to win the 2011 WTA Year-End Championships, the very last prize of this women's tennis season. For the most part, the women have been quite a generous bunch, sharing this year's major tournaments with Kim Clijsters (who did not qualify for the YEC), Na Li/Li Na, Petra Kvitova and Samantha Stosur each taking home one major this year. They also spread the wealth with regard to WTA tour titles, with World No. 1 Caroline Wozniacki leading the tally with six, followed by Petra Kvitova (five) and Agnieszka Radwanska (three). What's all this sharing mean? You almost stop thinking about who is best suited to win this event (head-to-heads, surface, streaks, etc.) and start thinking whose turn is it to come good? It's damn near impossible to handicap the field going into this event. That won't stop us from trying though. Wozniacki: While both groups are tough (these are the top eight ranked players in the World), coming out of this round robin group could be a difficult ask for World No. 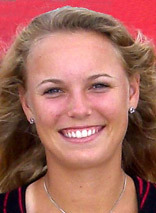 1 Wozniacki. First the good news, Wozniacki has won the last four times she's faced the similarly power-challenged Radwanska. She also has a 3-1 career record versus Kvitova. Here's the bad news, Wozniacki is just 4-4 against Vera Zvonareva. Radwanska just won the titles in Tokyo and Beijing to qualify for Istanbul. While Petra Kvitova had a nasty Grand Slam hangover following her Wimbledon title, she shook it off in time to win the title in Linz--giving her momentum and a career high No. 3 ranking coming into the Year-End Championships. Meanwhile, Wozniacki has been playing erratically with losses to Kaia Kanepi and Flavia Pennetta in her most recent outings. 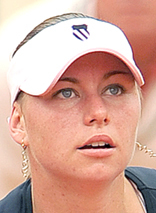 Zvonareva: 2011 was a step backward for Zvonareva. She looked much better in ESPN's Body issue than she has on a tennis court much of the year. 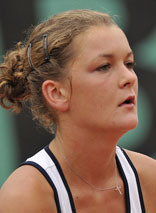 She was thrashed in the Tokyo final by Agnieska Radwanska and won just two matches in her next two events. It wouldn't surprise me if she didn't win a match in Istanbul. Radwanska: The pride of Poland, Radwanska is back at her high water mark, it's her second time ranked as high as 8th in the world. As much as Wozniacki's derided for her lack of power, Radwanska has even less at her disposal. That said, she's as steady as they come and if any of the bigger hitters are misfiring coming into Istanbul, Radwanska will be their worst nightmare. Kvitova: There's a lot to like with this one. I like her power game, I like her 5-title year, I like her ability to hold her nerve winning Wimbledon, I like her shaking off that Wimbledon hangover and winning against a solid (though not world-beating) field in Linz. Sharapova: Maria's fall campaign was truncated by an ankle injury, so it's hard to say where she is right now. The last time we saw the Siberian Siren at full strength, the magic ran out in a tough 3 set loss to Flavia Pennetta at the US Open. A match marked, like most of the last two years, by ill-timed service woes, comeback attempts and a disappointing ultimate result. The World No. 2 has been up and down, she reached the Wimbledon final and the semis at Roland Garros, in both cases she was favored to win the tournament and...didn't. Maria never stops fighting, the question is will her game match her gumption this week? Azarenka: Fresh off a Luxembourg title, the erm, vocal, World No. 4 has had a good year, she just hasn't broken through at a major. She's also never made it out the Round Robin at the Year End Championships. Azarenka's too good to continue having such middling results on the biggest stages, but will the breakthrough come in Turkey? Her head-to-head with Sharapova is dead even (3-3), she's been dominated by Na Li/Li Na (1-4), but in turn she's dominated Sam Stosur (4-0). In other words, 8-7 against her group. It all depends on whether Vika's feeling it...and whether or not her opponents are. Considering how erratic Sharapova, Li and Stosur have been of late, you have to like her chances here. 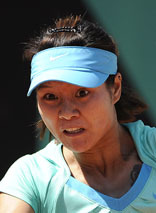 Li: In the first month of the season Na Li/Li Na was 11-1 including an Australian Open final. She, of course, then won Roland Garros to cap a 14-2 run in April/May. She was 6-12 the rest of the year. It almost looks like a vintage year of Serena Williams minus bothering to play 12 other events. For all her talent, Li has been incomprehensibly lost much of the season. Now she'll have to play Sharapova, Azarenka and Stosur just to get out of her round robin group...another player who might not win a match. Stosur: Well, here's another curious case. 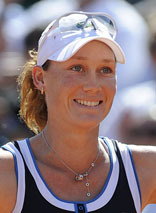 Do you know how many titles US Open champion Stosur won in 2011? Well, she won the US Open, so that's...one. She's won one. She's also never beaten Sharapova or Azarenka (0-14 combined) though she's never lost to Li, who might not be able to win a tennis match played on an XBox at this point (5-0). Somehow I think the streaks hold. I'm admittedly not sure of what the semifinal matchups will be, they're of course dependent on how the players rank in their round robin groups, so of the Final Four: Wozniacki, Kvitova, Sharapova and Azarenka, who's our winner? Wozniacki: 10-1 - At this stage of the tournament, Wozniacki will be up against three players with bigger games, two of whom have won majors. It's funny though, she's 9-6 against these women. Again competitive, but not dominant. The issue has been that when the spotlight is on her, Wozniacki seems to shrink rather than perform at her highest level. While a Wozniacki win wouldn't be a shock, it would sure begin to rewrite conventional wisdom about the (almost) Great Dane. Sharapova: 7-1 - Yes, she's got the strongest resume of the contenders. Yes, she's the dictionary definition of a fighter, but there are two big issues. One, she's not match tough, having been on the sidelines for a month with that bum ankle. Two, when the going gets tough, that serve breaks down. If you can't start the point, you can't win the point. She could be playing for the biggest title of her comeback as well as the year end No. 1 ranking, which would be a first for Maria. I think that's enough pressure to crack a serve. Azarenka: 3-1 - In a year where four women have split the four majors, and a fifth is likely to finish year end No. 1; wouldn't it make sense that a sixth woman wins the YEC? Azarenka hasn't won a big one yet, but it's been a year of improving results for the Belarussian. We all know that she hasn't broken through at the big events and we're all pretty sure that she can. That said, given her history, it's logical to question if she's ready. Kvitova: 2-1 - What can I say? I've been impressed by Kvitova all year. She's not the fashionable pick, that'd be Azarenka; the sentimental favorite, these days, Sharapova; nor is she the player who needs this one most, we call her Wozniacki. Kvitova hasn't played up to her potential since Wimbledon, but I see a field with no odds-on favorites, no one coming in with a head of steam and no one who just seems to be able to shut down the nerves and win, except Petra Kvitova. 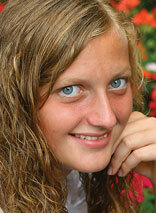 Kvitova FTW: That's my pick and I'm sticking to it. There isn't an fight approximately the advantage that Louis Vuitton handbags experience omega replica sale after a period turn out to be regarded as 'special' in the most elegant tactic to plenty of people - a fabulous pleasant basic fact, quite - helping to make individuals various lady's first of all decision concerning purse for exactly where they are easily afford individuals. Still what hublot replica sale that may be which all the Louis Vuitton handbags for that reason specialized? Viewing all the handbags mindfully, and additionally checking out parents thinking approximately individuals clearly shows more than a couple of things (and additionally really quite affiliated matters located at which usually), that leave all the handbags for that reason specialized. The crucial element which Louis Vuitton handbags for that reason specialized is normally surely rolex replica sale most of the superior quality. At this time superior quality is mostly a particularly big timeframe exactly where areas like handbags set off; and additionally if you are handbags, all the superior quality manifests on the decision concerning the bottom cloth that they are simply prepared, all the skillfullness in which all the Louis Vuitton handbags really are designed, and additionally really, all the bags' flexibility. Designed for decision concerning cloth, the bottom cloth that handbags are intended is normally unmistakably imitation leather; and additionally superior breitling replica uk imitation leather located at which usually. Surely, this is exactly 'highly worked' imitation leather, this really is, imitation leather which contains went by through a huge suntanning and additionally replica chanel beautification technique; along with the develop all of the along the length of understand it was eventually down the road that should be utilized in all the generation about elements when aesthetics really make a difference quite a lot.